Rodney Raccoon and the “Way Out Kids” screen “Rodney Racoon Goes Green” winner of the Puyallup River Film Festival last December. 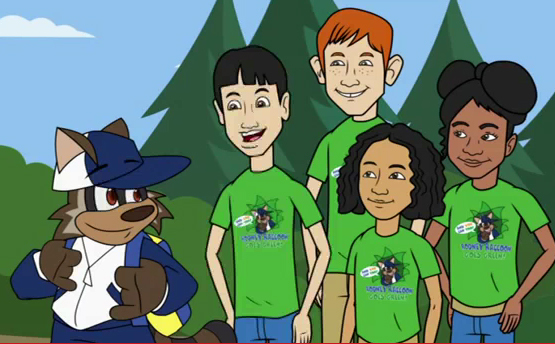 Tonight, May 16th, in celebration of “Puget Sound Starts Here” month, Rodney Raccoon and The Boys & Girls Clubs of SPS Presents a Special VIP Screening Premiere of the Rodney Goes Green video and you are invited! From 6:30-8:30pm come enjoy the screening of the Rodney Goes Green video (Winner of The Puyallup River Film Festival)! During the closing reception youth who participated in the making of the Rodney Goes Green video will be honored with an award.